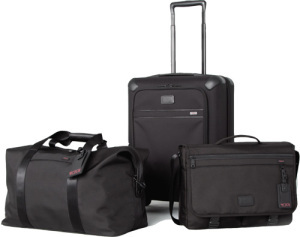 Included with every certificate for stays of 4-nights or longer is the choice of the Tumi Continental Carry-on or the Tumi Weekender Duffle and Tumi Conference Messenger bag. The Continental Carry-on is light yet strong while offering increased packing capacity, a sleek profle, smarter functionality and easier maneuverability. The Weekender Duffle is made from soft-but-tough ballistic nylon and features a roomy interior with interior and exterior organizer pockets. The Conference Messenger Bag is slim and sleek, with an urban design ideal for carrying your essentials during travel or everyday use. Included with every certificate for stays of 4-nights or longer is the choice of a pair of sunglasses from brands that include Bolle, Spy, Costa and Serengeti. Select from a wide range fashionable or practical styles, shapes and colors. Each Concierge Collection certificate for stays outside of the United States and U.S. territories includes GeoBlue Travel Health Insurance. GeoBlue is a trade name of Worldwide Insurance Services, LLC, an independent licensee of the Blue Cross Blue Shield Association. Since 1997, Worldwide Insurance Services has been dedicated to helping travelers identify, access and pay for quality healthcare, all around the world. See all the benefits of this outstanding travel insurance.